Test this, Sign up on ravelry. Sizes: XS (30-32”), S (34-36”), M (38-40”), L (42-44”) These are body measurements. 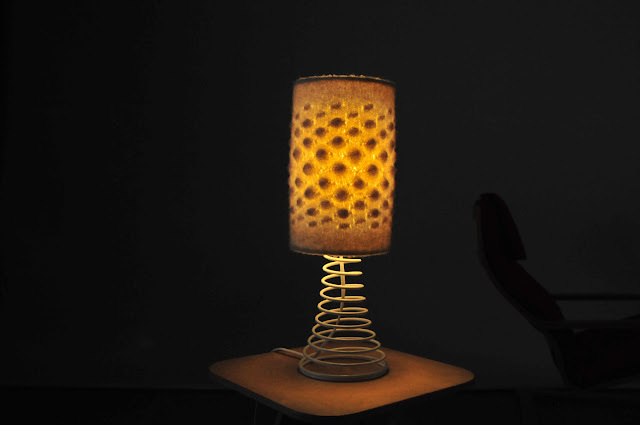 Eight months ago, I posted a few pictures of a lamp that I made out of felt. 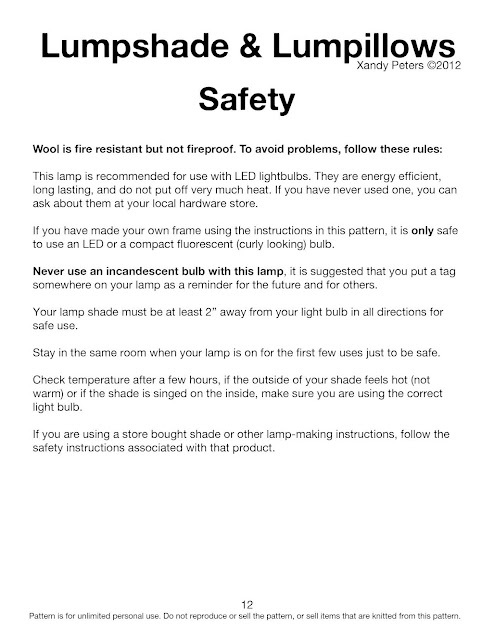 There was a pretty big response from people who wanted to make lamps too, but there were also a lot of questions about fires and electrical wiring. 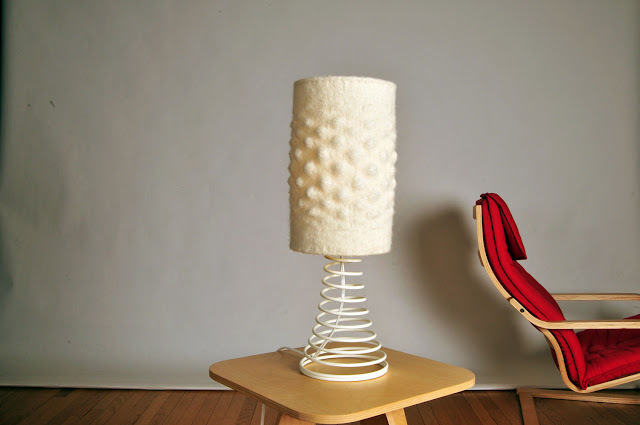 It took a bit of work, but with motivation from a really ugly bedside lampshade, help from the ravelry free testers group, and photography and some proofreading from my mother, there is now a way for others to knit similar lumpy lampshades. 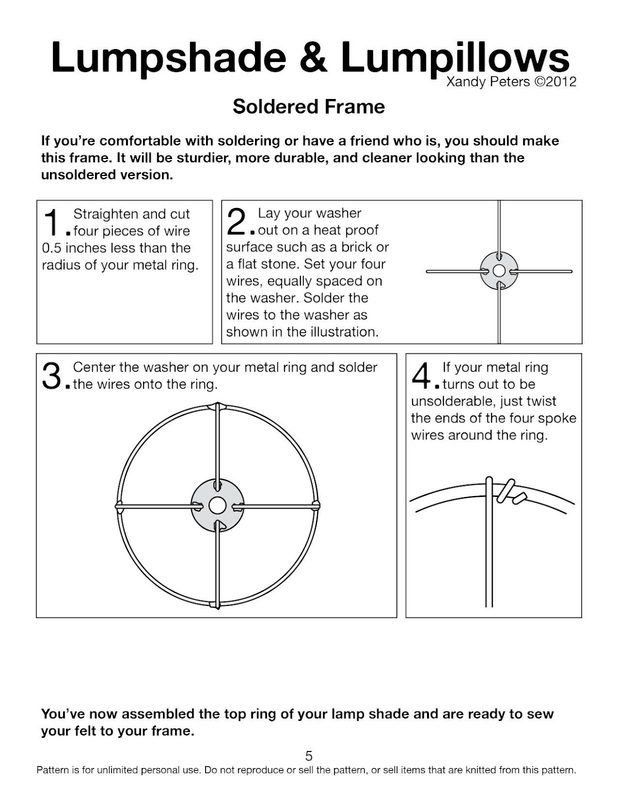 All of the danger and live wires have been excised and replaced with safety and standardization. It may sound much less exciting, but it allows me to publish a pattern that fits the needs of all sorts of people with all sizes of lamp without an overbearing fear of fires and lawsuits. The pattern is for a textured felt lamp shade in multiple sizes and matching pillows in two sizes, the pillows do not light up.The lamp shade can be sewn over a preexisting shade or a handmade frame. 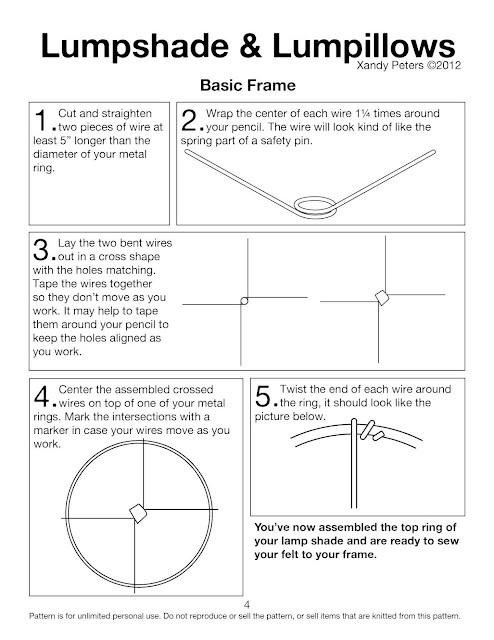 DIY instructions for a metal lamp shade frame are included in the pattern as well as a lesson in lamp anatomy and safety. The pillows are 10" x 16" and 16" x 16". 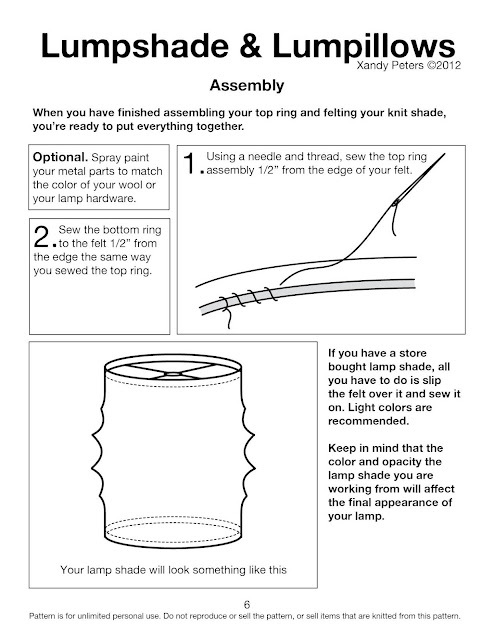 The shade fits a 6"-18" diameter drum shade with a height of 11". The height is adjustable. Patons Classic Wool in color Aran is shown in all pictures. Some of the skills needed for this pattern are non knitting related. 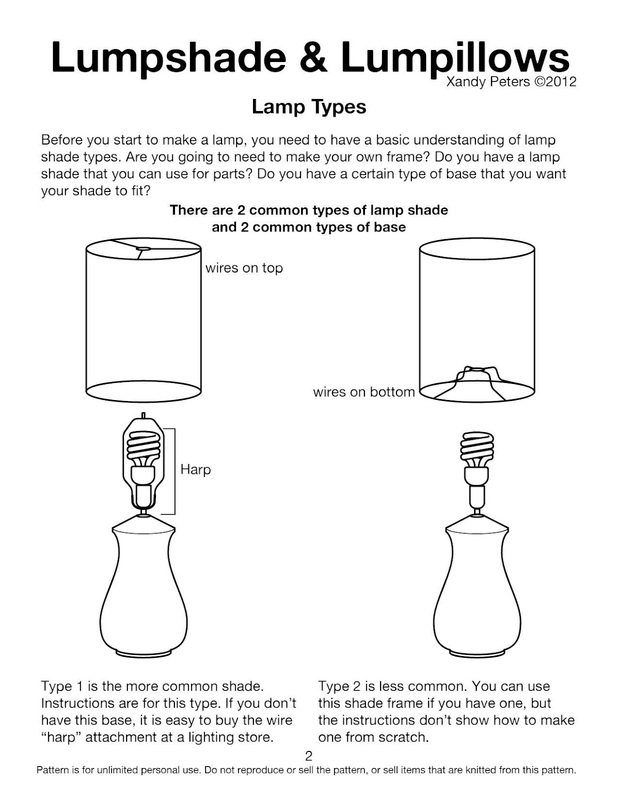 It just wouldn't be fair to keep them secret, so I'm posting them here so that everyone can decide whether they want to put in the extra effort to make the lampshade themselves. The following images show the skills and materials needed to make a lampshade from scratch. 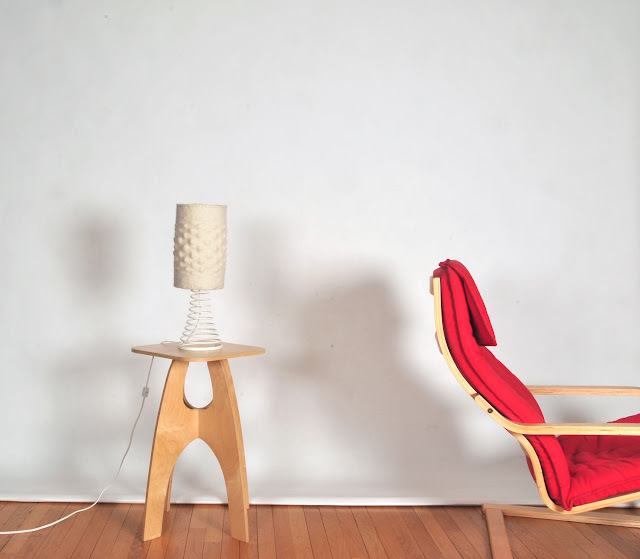 These images are also included in the pattern PDF. If you aren't into this sort of crafting , keep in mind that using a store bought lamp shade and making a pillow do not require any of these extra steps. You've now seen everything but the actual knitting instructions so there are no unwanted surprises (I'm very OK with people using these lampshade frame instructions to come up with their own projects as long as I get credit for creating the files). 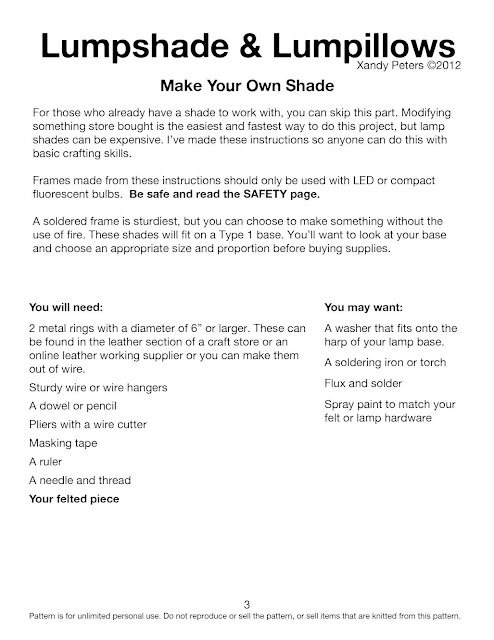 It's a fun project for the adventurous crafter and is very rewarding. You have to actually feel the texture to know how rewarding it really is. The pillow is perfect for petting. 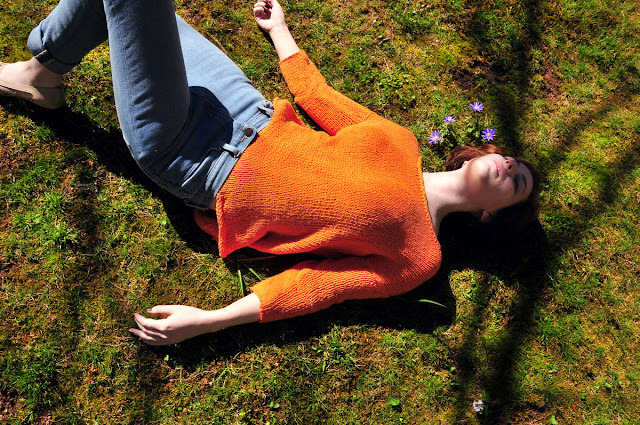 You can find the pattern on ravelry for $8.00 or get it right here. 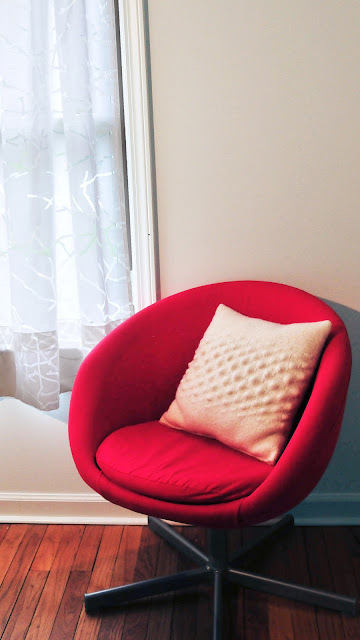 If you are not a knitter but are interested in this product: I am able to produce a limited number of pillows and lampshades depending on my schedule. Contact me with your needs for pricing info. 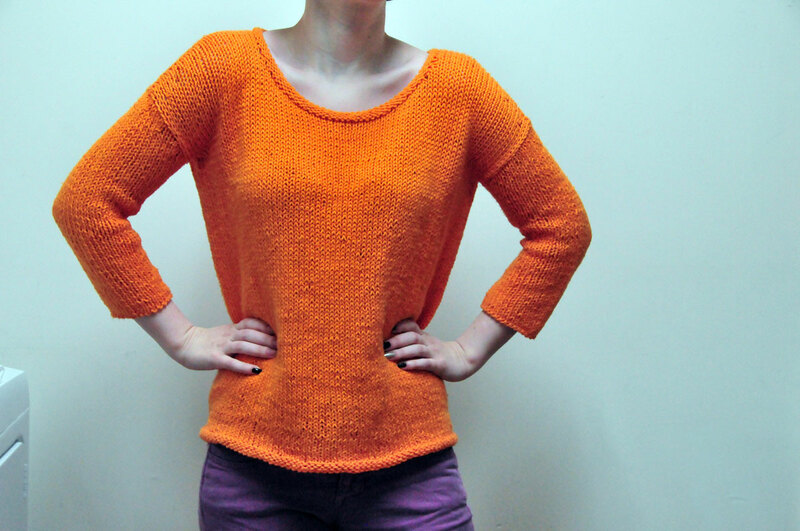 I just finished making this pattern for this drop sleeve sweater. 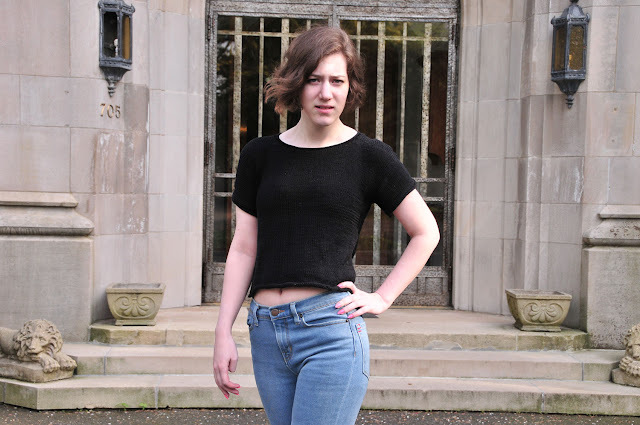 Most knitters aren't too into drop sleeves because of the overly simple shape and associations with oversized '80s sweaters, but they are really popular this year with high end brands. 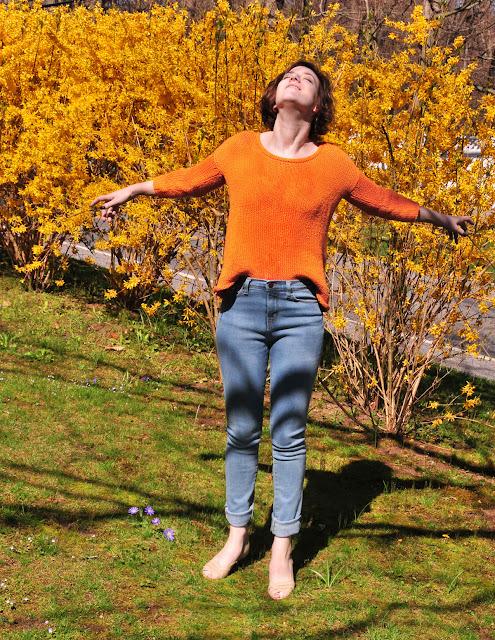 After seeing skinny armed sweaters everywhere, I decided to try making one out of some orange cotton leftover from a failed sweater. It is my new summer favorite, even though the weather hasn't even changed yet. The body is oversized, hiding any areas of self consciousness that you may have. Those with a well defined waist can tuck it into their pants to show their shape. It doesn't add bulk to your silhouette like most slouchy sweaters because the sleeves fit your arms and the scoop neck shows off your collarbones. I'm not at all broad shouldered person, but the seaming visually evens out bottom heavy people like me by drawing the eye up and to the shoulders. The shoulders actually have shaping to keep your dropped sleeves from making your shoulders look like they're melting. I used Debbie Bliss Cotton DK, which is somewhere between a DK and worsted weight. Cotton is relatively cheap, and I'm very curious about the use of Sugar'n Cream / Peaches & Creme yarn in this gauge. They might make a really nice substitute for under $20. The size small only took me about 12 hours to knit, and required very little attention during the body section. This pattern is currently free for those willing to test. If you're interested in testing, you can contact me via this thread in the Ravelry forum Free Pattern Testers group. This pattern is currently for sale in my ravelry shop, CHECK IT! I am the family matzo baller. For the last 15 years it seems I've been at least helping out with this part of the meal. Every year we have been working from the same recipe passed down from my great grandmother. Unfortunately, we make a lot of changes to the matzoh-to-egg ratio and never write them down. Sometimes the changes work, but there have been some years where things have been a bit heavy. 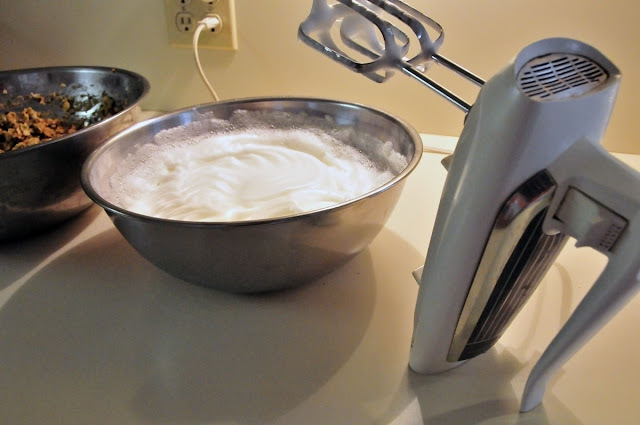 This year, I have decided to record the recipe so there will no longer be any issues. This will take 2.5 hours including resting time. 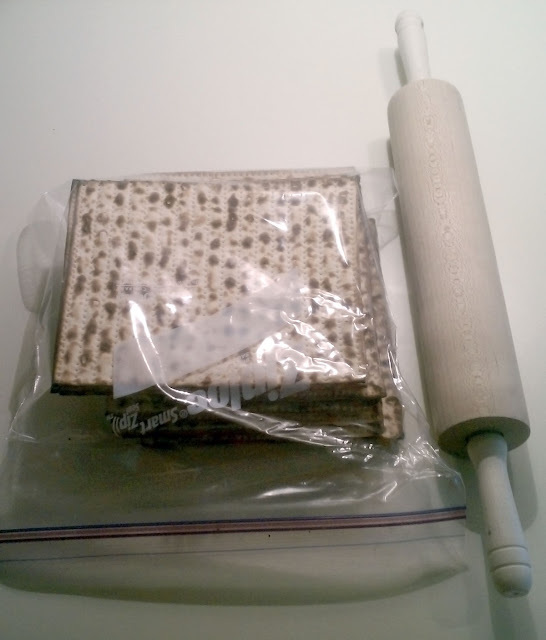 Put the matzos in a bag and crush them with a rolling pin. 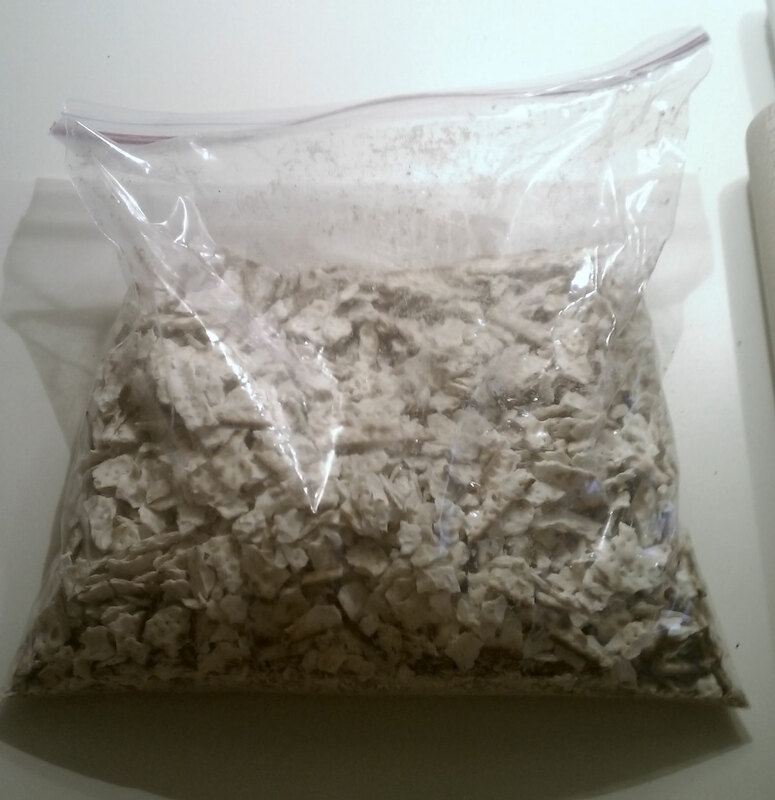 My recipe was tripled, so you may notice my pictures show more of all the ingredients. When you're finished, you should have pieces about this big, none larger than a penny. Pour the matzo into a mixing bowl with plenty of extra room. Pour the seltzer over the matzo and let it soak in. Stir if it is not evenly distributed. Chop your parsley and melt your butter as the moistened matzo begins to soften. 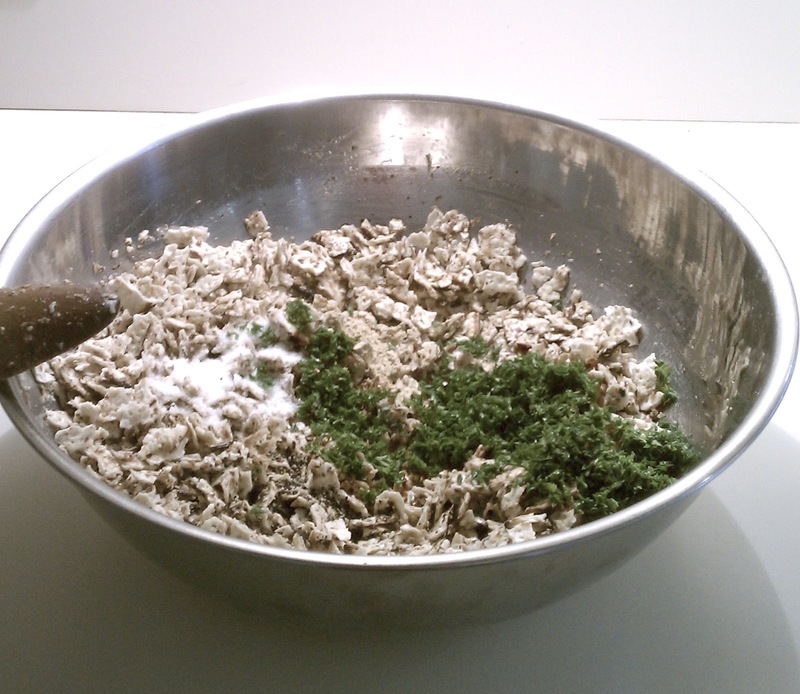 Add the matzo meal, salt, pepper, ginger, and parsley to the matzos. pour on the butter and mix everything well. Separate the eggs, whites in one bowl, and yolks in another. Add the yolks into the matzo mixture and mix them in. 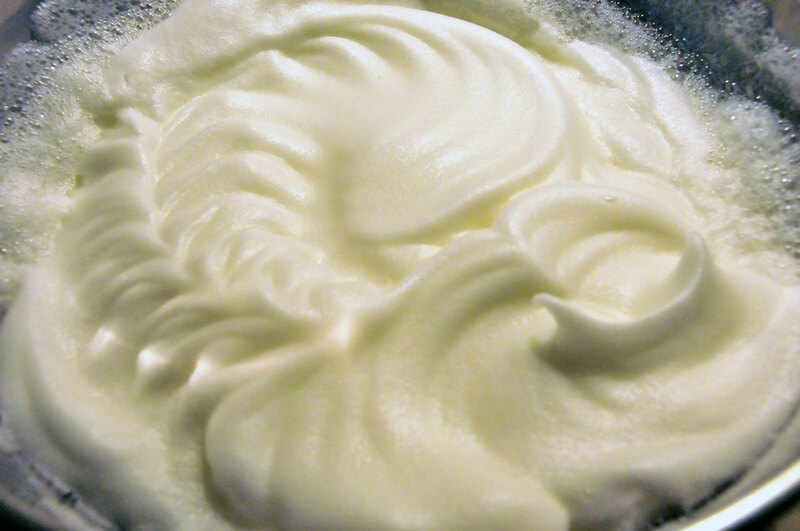 Beat the whites until they make stiff peaks. Add the fluffy whites to the matzo mixture and fold them in. Do not stir them. 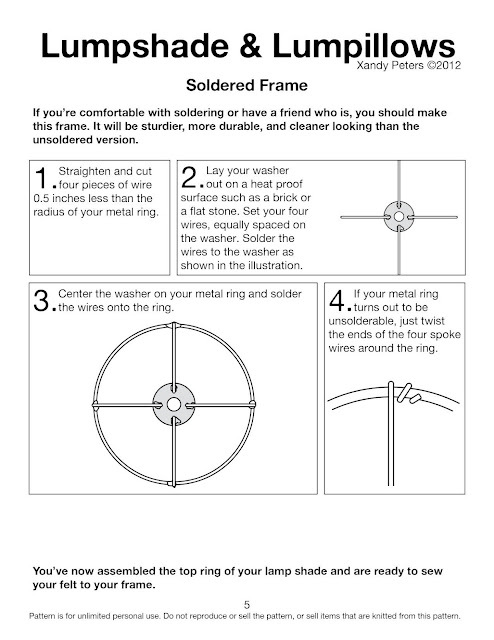 Put the bowl in the fridge covered with saran wrap. It needs to sit for an hour or more. After an hour, everything will be more like a dough. If it is more like an oozing goo, fold in some more matzo meal to make a shapeable yet still wet batter. Pour out some matzo meal on a clean surface, and take a scoop of batter from the mixing bowl. Put it on the matzo meal and cover it to keep it from sticking to your hands and falling apart. 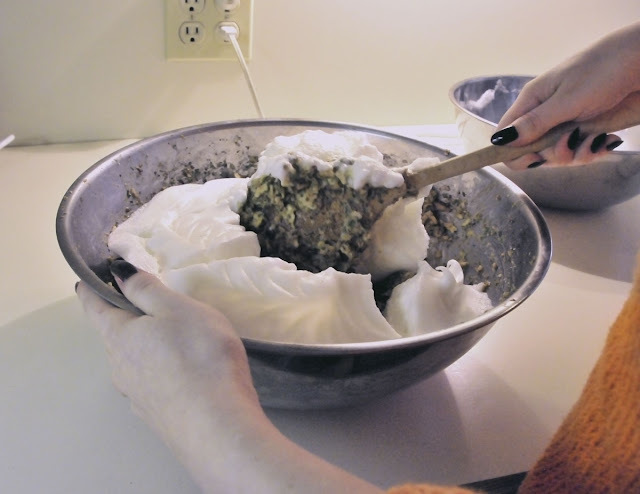 Roll the scoop into a ball without smushing it. I made this video of how I do mine because it is an important step. 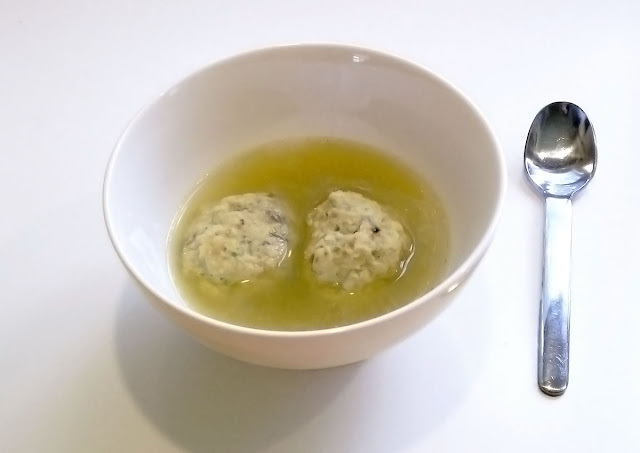 If it isn't passover and you added the baking powder, you can worry less about smushing the air out, but your balls will still be more tender if you treat them gently. It might take some practice, and don't worry if it isn't exactly like I showed. When all your balls are rolled, let them sit as you bring your chicken broth and water to a rolling boil in a large pot. this is not the soup that you will serve the balls in. After cooking it is very starchy with a lot of bits in it. When the balls are done resting and your broth/water mix is very hot you can add the balls. If the liquid is not boiling vigorously, the balls will fall apart, so don't rush things. The balls will need ten minutes to cook, but cannot really be overcooked. 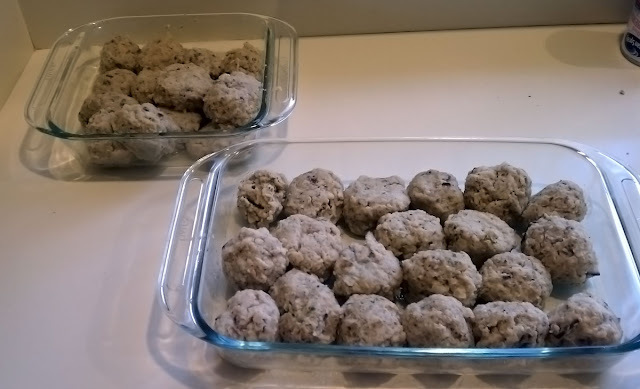 You can leave them on the stove until ten minutes from the time the last ball went in. I had to remove my balls and pack them for transportation. They're a bit fragile. 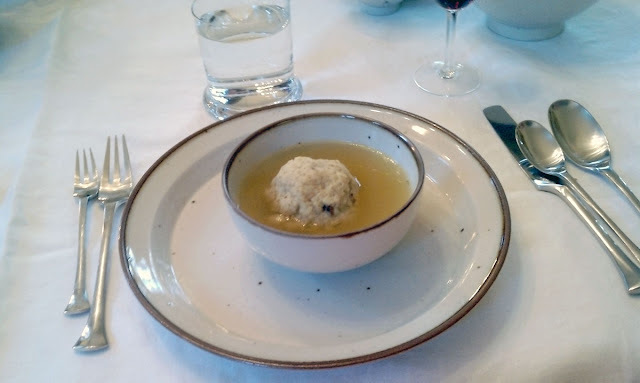 We served them in hot chicken soup right after the gefilte fish. They will last about 4 days in the fridge. Have a happy passover and try making your own balls from scratch, no mixes and less matzo meal tastes a lot better. There really aren't enough knitting patterns for men, and it can be hard to find one that is just right for this cool early spring weather. This spring, consider making the man in your life these light weight wool coordinates. 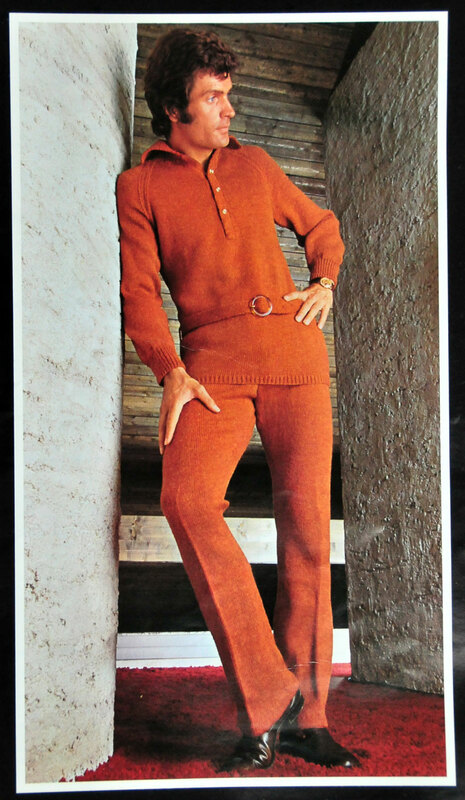 There is nothing more manly than a belted sweater with matching yoga-esque bell bottoms. It is just the perfect outfit for yard work or standing on the shag rug admiring your stucco walls.